“Hey Florida State! Look at us! Yeah, look at us! We’re the captain now!” With Jameis and ten other Seminole players being selected in the NFL draft and Clemson returning QB Deshaun Watson and one of the top receiving groups in the country, the Tigers have to be feeling like they are the frontrunner in the division now. That doesn’t mean that anybody is going to roll over and give it to them though, Dabo Swinney and company will have to take the division crown if they want it. 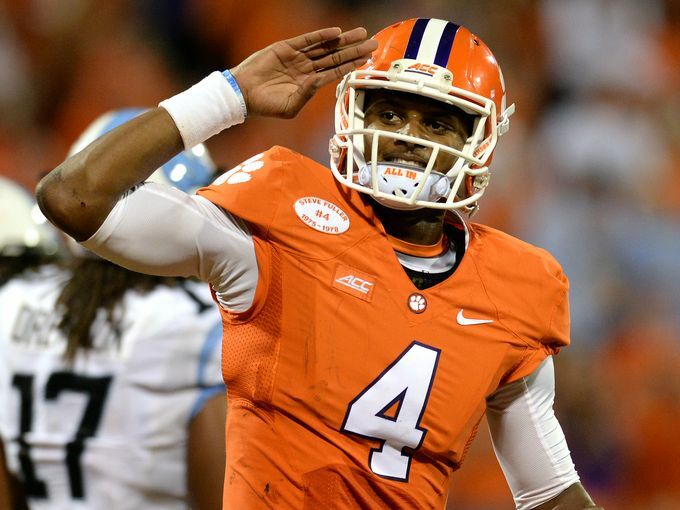 Deshaun Watson is legitimately awesome at playing quarterback. He is also not great at avoiding injury, suffering three separate injuries in his freshman season. If Watson can’t stay healthy and on the field this year, then Clemson is not a threat to win the ACC. Watson completed 68% of his passes last season for almost 1,500 yards, 14 touchdowns and two interceptions. Toss in 255 yards, five touchdowns and no fumbles on the ground and you have a dual threat weapon. Just to reiterate he had almost ten times as many touchdowns as turnovers last year, as a true freshman. Mike WIlliams and Artavis Scott make up the top returning receiving duo in the conference, and headline what should be the conference’s best group. Williams was the only Tiger receiver to top 1,000 yards last season, but Scott wasn’t far behind with 965 receiving yards. Scott and Williams also led the way in the receiving touchdown category with eight and six, respectively. Behind them are a group of experienced receivers and tight ends like Germone Hopper, Charone Peake, Jordan Leggett and Stanton Seckinger. The last two of those are tight ends. 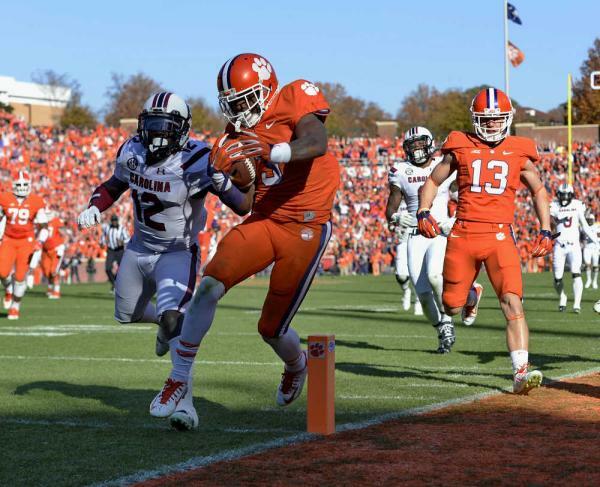 If Watson does miss some time, then Clemson will need its running backs to be more of a factor in the offense. Wayne Gallman led the way last season with 769 yards, and he and his primary backup C.J. Davidson are both back. The problem is that the duo barely topped 1,000 yards combined and only rushed for seven touchdowns. Part of that may be attributable to Chad Morris’s pass heavy offense, but still it would be nice to have a fall back option if Watson can’t stay healthy again in 2015. With Isaiah Battle choosing to enter the supplemental draft and end his college career, there is only one full-time starter returning to the line in center Ryan Norton. Norton leads all offensive players with 24 career starts. The players expected to enter starting positions this season are very talented players, but there are always questions surrounding a team with four new starters on the offensive line. It makes sense that the number one defense in the country would have to replace some guys, but Clemson is having to replace a ton by any measure. Fortunately, they do bring back some pieces who were good in backup roles and who have been learning behind some elite defenders. 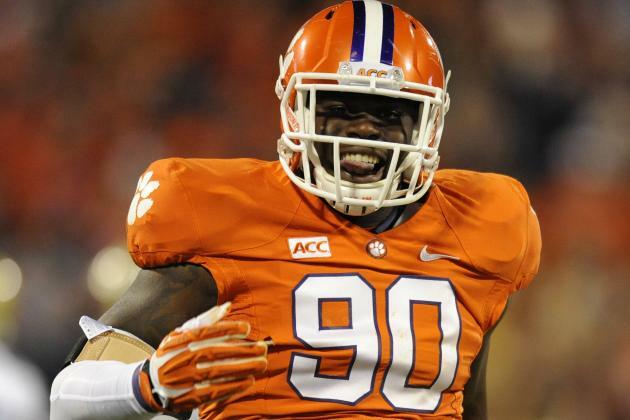 Despite not being listed as the starter, Shaq Lawson was still the second leading tackler among defensive ends for Clemson last season behind first round pick Vic Beasley. Lawson had 11.5 tackles for loss and three and a half sacks. Secondary is probably the most seasoned unit on this defense with two starters returning in Jayron Kearse and Mackensie Alexander. Kearse was solid last season at safety with three sacks, two interceptions, five passes broken up and a fumble recovery. Alexander was a huge recruit and has been a solid corner, but it would be nice if he could intercept a few passes this year as he failed to do so last season. Aside from those two, it will be nice to get nickelback Travis Blanks, who redshirted last season because of a preseason injury, back. Cordea Tankersley is also reasonably experienced at the other corner position. Tankersley appeared in every game last season. Stephone Anthony and Tony Steward are big losses at linebacker, but the guys ready to fill in are both talented and reasonably experienced. Anthony and Steward led the linebackers in tackles, but the next four guys behind them are all back and ought to make up a solid linebacking corps. Ben Boulware was the third leading tackler at linebacker with 33 tackles and pitched in five tackles for loss and an interception. This should be the year that Clemson passes Florida State for the division crown, but I think they don’t quite get the conference title, and thanks to that will also miss out on the playoff. Clemson does get Notre Dame, Georgia Tech and Florida State at home, but still has several big road games with Louisville, Miami and South Carolina. The schedule should prove too difficult for Clemson to run the table, but one regular season loss is certainly attainable. If Clemson enters the ACC title game with one loss and manages the victory then there will probably be a playoff spot with their name on it.